Do this by clicking on a white square on the seat map. Squares with lines are locked. When you reserve a white square, the square next to it will be unlocked and becomes white. Your best friend or clanmate will then be able to reserve it and sit next to you. The squares with a “x” are disabled and will not be unlocked automatically. These are rows which will open only after a predefined number of tickets have been sold or which have been disabled for technical reasons. Teams can always send a mail to seatmap@fom.be to reserve seats for the whole team. This is usefull for teams where everybody buys their own ticket through the webshop. If only 1 person buys tickets for the whole team, then he can reserve al the necessary seats through his account, this will save you a lot of time & effort. If you send a mail for assistance of an admin, please mention very clear the seat numbers and associated nick names (f.e. A1 - TheKiller, A2 - TheVictim). Admins can only reserve seats for valid tickets. Teams don't have to wait until the reservations are open. You can send a mail right now if you have >= 5 valid tickets. If you have reserved a seat, please don't assume that this reservation is final. Admins can still give you a new seat. This is important near the end of the reservation period to make sure that random white squares come together to make room for extra teams. 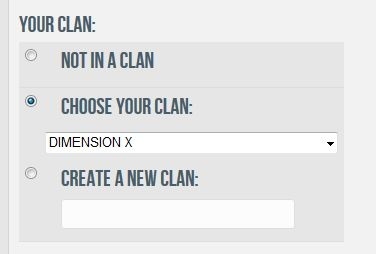 That’s why it is important that you select the right clan in your profile. Admins will always make sure that players of the same clan will be seated next to each other, and will not kick your reservation or change it to a random spot on the other side of the seatmap if you have the same clan in your profile as the people with seats next to you (or he would have to replace the whole team...). Every clan will have a separate colour on the seatmap. If you notice that the seat of your clan member has another colour, then please ask him to update his clan in his user profile. As always at your service. Signed by the super-evil seatmap zombie-admins.